Our team has been selling invites since 2009 year. By the moment it has organized the reliable network of partners, established a scheme of transactions, increased security and anonymity of clients. Minimal losses and major transactions provide the best price. 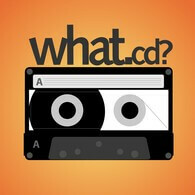 What.cd / What — is a giant musical private tracker, founded in October 2007. It is a private BitTorrent- tracker with a huge selection of music of all genres. Every day, about 200 thousand people spread hundreds or even thousands of different kinds of music releases in a variety of formats – from simple MP3 to heavy FLAC’. Welcome to the best online shop of private trackers Invites-shop.com! Buy invite or account for any private torrent tracker you want! You can enter private torrent-trackers which have the original content by getting an invite. It can be done easily and comfortable on our exclusive online store Invites-Shop.com. It`s possible to order any tracker you want or just choose from the presented ones in our online store! Getting an invite for private trackers allows you to download basic enterprise software, informational, juristic and administrative systems. Wide possibilities provided by Invites-Shop can be proved by big work experience and positive feedbacks! New products of online gaming industry, music and video premiers always appear in our internet store as soon as possible! You can also upgrade and lift the statistics of your account easily just asking our support team about this service. Music of all genres and styles can be found due to wide choose of torrent trackers offered in our internet store! If you want to become a part of special culture, to find soulmates – get the invite to the famous What.cd tracker! Or get waffles.fm account – exciting world of music with more than 300 000 uploads and high quality sound. Choose any and you will find any album or signer you are looking for! To download electronic music is better to use Trancetraffic invite. In our International section trackers it’s easy to gain Italian, Spain, German, France, Asian and other trackers and get access to their exclusive material. Here you can find the best Italian tracker Bitvaulttorrent.com or excellent German trackers – HDCenter, Bittorrentfiles.org, TSCtracker. It is possible to buy HD-Spain and World-in-HD accounts which is considered almost impossible to receive. Asian segment is represented by well-known trackers AsiaTorrents, AsianDVDclub, HDChina, HDCorea and much more. Entering these trackers lets you download any desired content from the categories music, films, TV, games, software, E-books etc. Exclusive scientific materials, learning courses and programs are provided on educational torrent trackers. If you need high-quality video materials or to know about news in science and education – just get an invite to Bitme.org and you will have access to everything! The great Bibliotik.me contains science literature and books on any subject! You can read the original books, get the news about new science projects when you have a key to whole world library! To find and download fast your favorite movies in HD format is not an easy task for the public internet segment. However, the private trackers from our HD-Video section solve this problem perfectly. It is enough to get an invite and sign up on some popular tracker with video content, and you will be able to quickly download and watch any movies and TV shows on any format, including "heavy" original Blu-Ray. The leaders from the category are HDBits.org, Awesome-HD.net, HD-Spain.com, World-in-HD.net, which are the most difficult to access and expensive, but they have the greatest releases of nearly all new and the most famous old movies. Also it is worth to note simpler and cheaper tracers such as BeyondHD, HDChina, Totheglory, Bit-hdtv. They belong to the middle level but the statistics is trustworthy and the base of torrents competing with the expensive elite ones. Though invites or accounts for them are inexpensive and are readily available. Do not miss the other sections of our store. Invite to the biggest game tracker Blackcats-Games from the section “Games+Sports” is a good gift for any computer gamer, as he will find the largest database of all kinds of computer games for all platforms and devices. Sports enthusiasts will be enjoyed by access to the trackers Racingfor.me and MMA-Tracker to find and watch their favorite sporting events, hockey, football matches, records of fighting duels and Formula racing. Welcome to our online shop Invites-Shop.com - the best source to access private trackers!